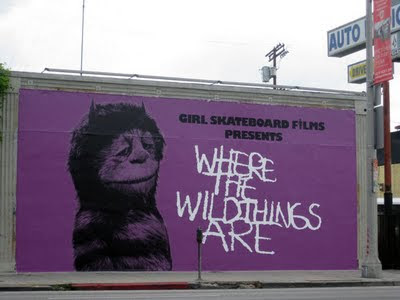 So those of you living under a rock may not have heard about this movie, but Girl Skateboards' Spike Jonze and author Maurice Sendak have been working on this film based on Sendak's children's book, Where the Wild Things Are.Thanks to EU Jacksonville, Girl Skateboards, and Busstop, you might just be able to get yourself some tickets to see it early. All you have to do is send an email telling me why you should get the tickets. Keep in mind, your email may be posted. Please post 'Wild Things' in the subject line. Good luck! This special screening will happen on Tuesday, October 13 at 7:30 pm.